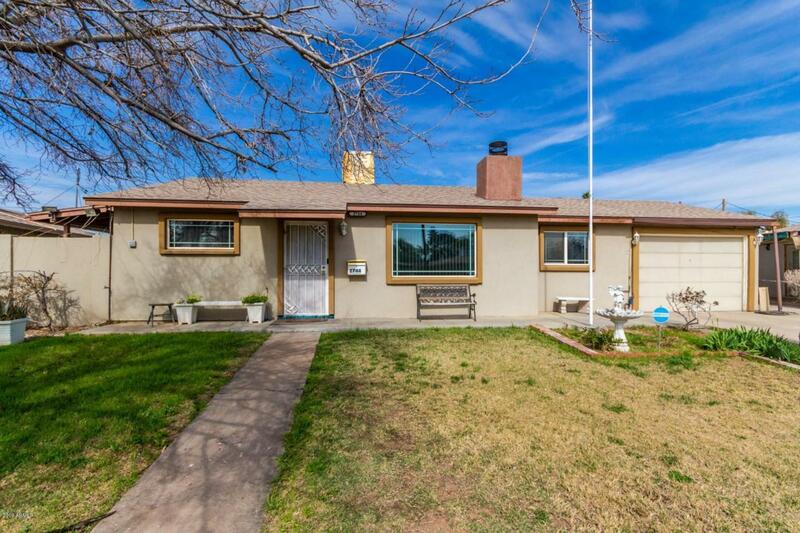 This is a charming home on a huge lot! Kitchen has tiled counters, gas oven/range & tile floors. 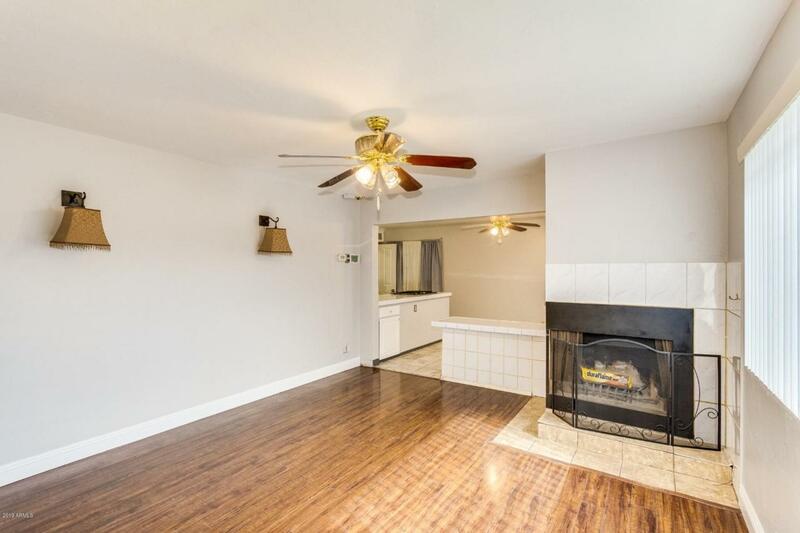 The cozy living room has upgraded wood laminate flooring & a fireplace. The back yard has A LOT of storage & plenty of space to work. This is a perfect home for someone who needs a lot of work-space. There is still a lot of yard for entertaining, relaxing or picking fruit from the fruit trees. 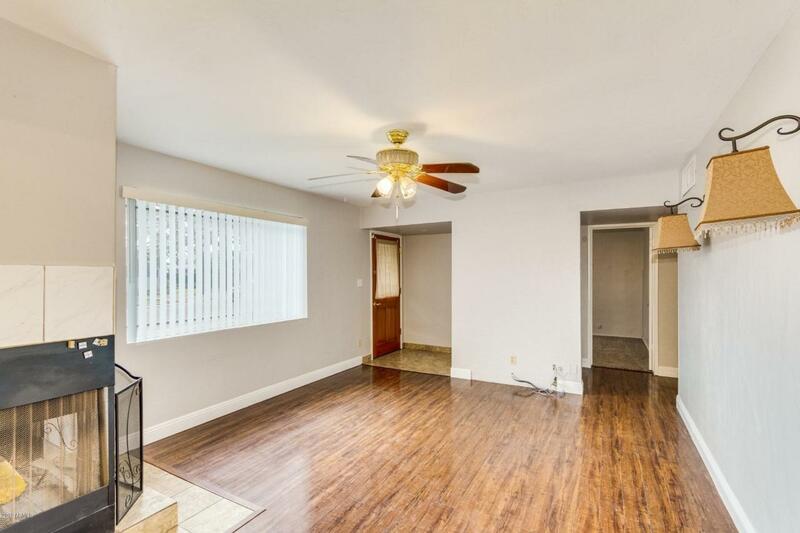 There are additions to the house that can be more living space w/ a couple finishing touches. The interior was painted in February w/ neutral colors. There is AC & and Evap cooler so you can save money & use the evap when it's a dry heat! 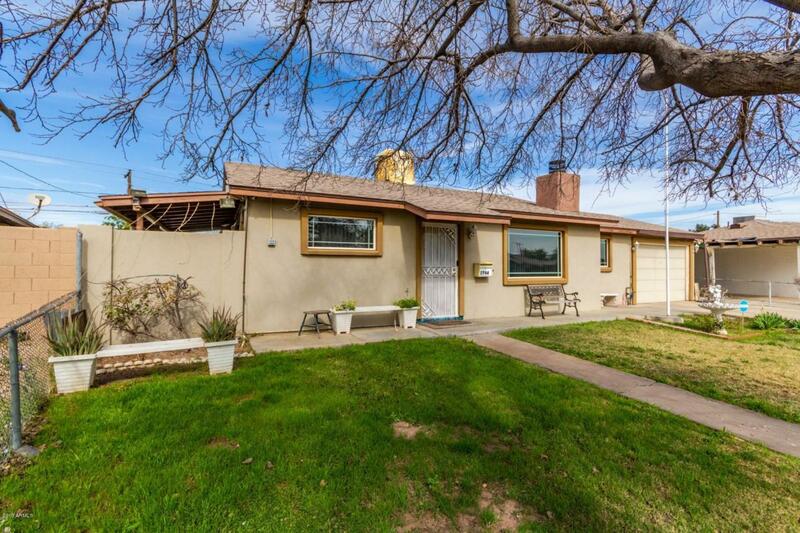 This is a perfect starter home that is close to freeways, shopping, restaurants & entertainment. Listing courtesy of Homelife Ambassador Realty.